With more than 200 sovereign countries (most of which have subdivisions such as states, provinces, oblasts, etc.) and an estimated two million cities and towns, the world is full of flags. A lot of them are wonderfully designed and even more are just plain bad. However, not all flags fall neatly on this spectrum. To put it plainly, there are a lot of flags that aren’t necessarily good or bad; they are just plain bizarre. In this ongoing series, we will examine some of the world’s weirdest flags. Note: As regular readers of this website know, almost every flag has a story behind it. Unfortunately, the stories of some of the flags we will be looking at aren’t widely available or they are in a language that we can’t read (we should really brush up on our Russian). 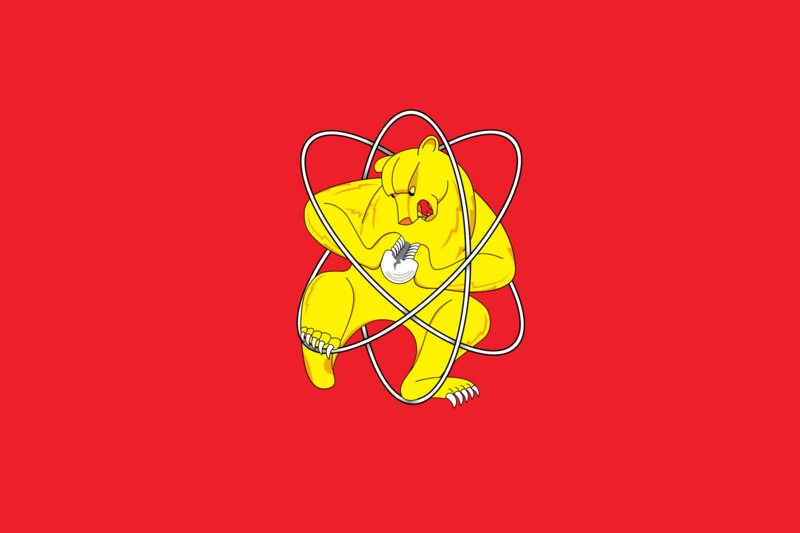 Yes, you are seeing this correctly; that is a flag of a bear splitting an atom. When you search for weird flags, this is often one of the top results with good reason (and we mean weird in the best possible way). Zheleznogorsk was established in 1950 for the explicit purpose of making weapons-grade plutonium. In fact, the city was kept a secret and didn’t appear on any maps until 1992. The town was also known as Soctown, Iron City, the Nine, and Atom Town. No, this is not a flag for Hostess brand snack cakes. 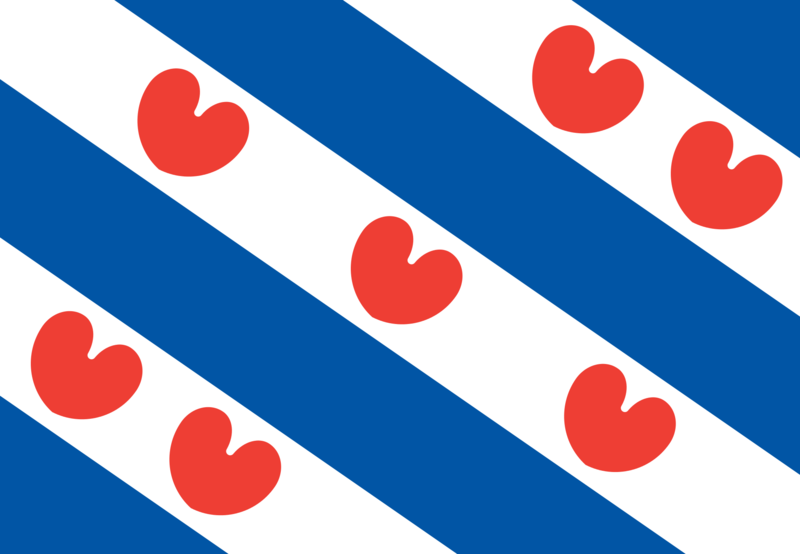 And no, those seven red shapes aren’t hearts; they’re seeblatts (stylized water-lilies used in Germanic heraldry). They’re meant to symbolize the “sea countries”, independent regions along the Dutch coast that were allied against the Vikings. Now knowing that they are lily pads makes us think this is a flag for Frogger. This flag is one “Pow!” away from being in a Batman comic book. This is one of those flags we really wish we could find the story for. Our best guess is that someone accidentally cut out Jesus’ head from a 14th century painting and played it off by saying he did it to put it on the flag. While the flag of Wales breaks the core flag design rules, it is hard not to love. Who wouldn’t want a flag with an awesome dragon on it?! Well, looking at the flag of Cardiff, the capitol city of Wales, might make you rethink that question. It looks like it was taken from a children’s picture book based on the Welsh dragon. The design was actually taken from Cardiff’s coat of arms, where it doesn’t look as cartoony as it does on the flag. 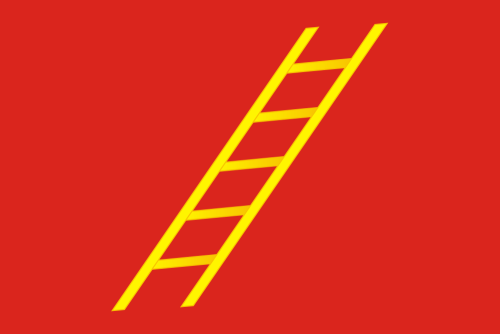 “Once the number three, being the third number, be reached, then lobbest thou thy Holy Hand Grenade of Antioch towards thy foe, who, being naughty in My sight, shall snuff it.” While we would love this to be a Monty Python flag, we love the fact that this is a real city flag even more. Unfortunately, the only official description we could find was that the flag depicts “a hand emerging from a cloud, holding a orb and sword.” If we designed this flag, we would have broken the “no text” rule and wrote, “And stop groveling!” in the red field. 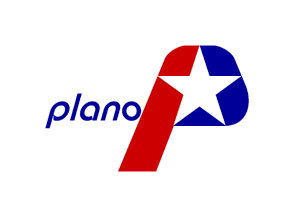 If Plano was an oil company instead of a town and used this same logo, no one would bat an eye. We’re not sure why we find this flag was so weird. Maybe because it departed from the usual American “seal” flag for something that looks so corporate? 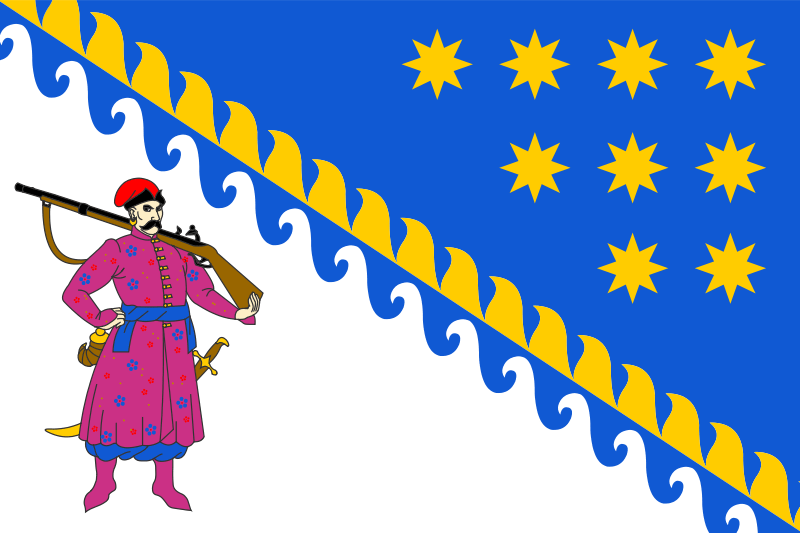 While the Cossack with a rifle is a historic Ukrainian symbol, this 2002 redesign of the Dnipropetrovsk Oblast flag makes the Cossack look like it was taken from a Super Nintendo or Windows 95 game. That guy showing his wounded leg to a dog with a loaf of bread in his mouth is Saint Roch. It is told that Roch was caring for plague victims when he himself fell ill and went to live out in the forrest. The story says he would have died if a dog belonging to a local nobleman had not discovered him and brought him bread. Knowing that, this flag makes a little more sense, but to the casual observer it looks weird and kind of creepy. Plus, I’m still not sure why Saint Roch is associated with Drnis. While best known to Americans as that territory in Risk, Irkutsk is a real place in Russia. And, surprise! It has a weird flag – both for what it’s depicting, and failing to look like what it’s trying to depict. When I first saw it, I thought it was a mongoose or something similar carrying a red cloth or scrap of meat. It is actually supposed to be tiger carrying the body of a sable. 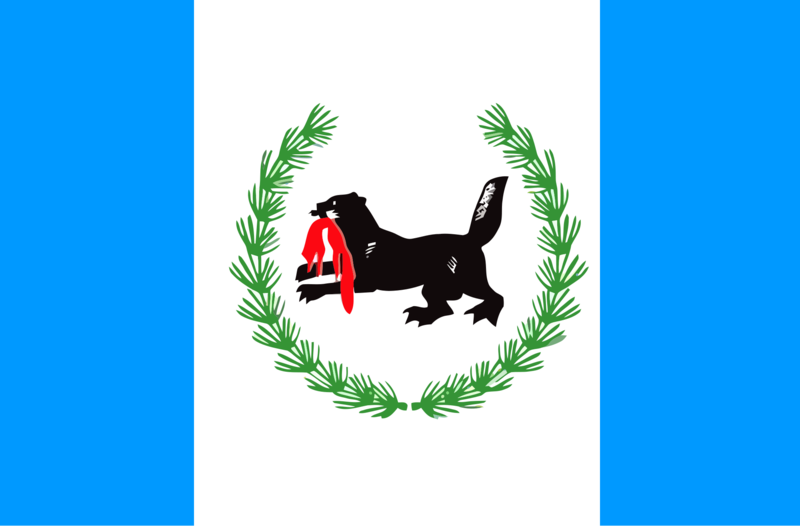 While this isn’t the only flag to show death (which is kind of weird by itself), it manages to do with Russia’s signature brand of vexillological weirdness. Want more weird flags? Check out Part 2, Part 3, and Part 4! Have a favorite weird flag? Be sure to tell us in the comments! Just discovered your site. Bookmarked it, and will probably spend the whole weekend going through it. Love it!